[S252] United States Federal Census, Washington, District of Columbia, Population Schedule: Big Creek, Forsyth County, Georgia, Emuneration District: 49, Supervisor District: 9, Sheet: 11A, Dwelling: 199, Family Number: 100, Date: 1920. Jimmie Lucile Bagwell was also known as Louise Bagwell. 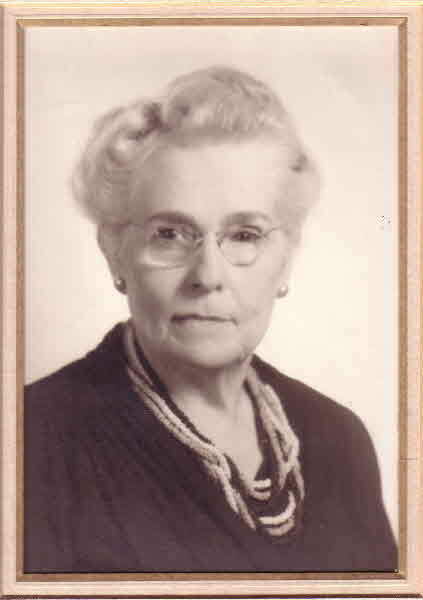 She was born on 30 October 1917 in Georgia.1 She was the daughter of James Franklin Bagwell and Ida Lue Jackson. As of after 1935,her married name was Chappell. As of after 1935,her married name was Jinks. Jimmie Lucile Bagwell married Delmas Chappell after 1935. Jimmie Lucile Bagwell married Marion Franklin Jinks before 1942 at Georgia. Jimmie Lucile Bagwell died on 30 June 2006 in Conyers, Rockdale County, Georgia, at age 88. [S1283] Samantha L Bagwell Grave Stone, Find a Grave, www.findagrave.com. [S292] United States Federal Census, Washington, District of Columbia, Population Schedule: Big Creek, Forsyth County, Georgia, Emuneration District: 74, Supervisor District: 1, Sheet: 31, Dwelling: 291, Family Number: 302, Date: 1880. Isadora Stone was also known as Sadora.1 She married William Walter Bagwell, son of Nathan Bennett Bagwell and Sarah Elizabeth Cogburn, after 1885. As of after 1885,her married name was Bagwell. [S345] The Generations Network Inc., U.S. and International Marriage Records, 1560-1900. [S211] United States Federal Census, Washington, District of Columbia, Population Schedule: Milton County, Georgia, Post Office: Alpharetta, Sheet: 561, Dwelling: 4, Family Number: 4, Date: 1860. [S346] United States Federal Census, Washington, District of Columbia, Population Schedule: Little River, Wake, North Carolina, Sheet: 428, Date: 1830. [S210] United States Federal Census, Washington, District of Columbia, Population Schedule: St. Mary's District, Wake County, North Carolina, Sheet: 104, Dwelling: 82, Family Number: 82, Date: 1850. Milly Dowling was also known as Millie Dowling.1 She was born on 5 May 1808 in Darlington District, South Carolina, Milly and Elizabeth Dowling were twins.2 She was the daughter of Dempsey Dowling and Martha Stokes.2,3 Milly Dowling married William Cox Jr., son of Edward Cox and Nancy Bryant Cox, in 1826 at Georgia.3 As of 1826,her married name was Cox. Milly Dowling died on 28 July 1847 in Claybank, Ozark, Dale County, Alabama, at age 39. Children of Milly Dowling and William Cox Jr.
[S1110] John Robert Engram Grave Stone, Find a Grave, www.findagrave.com. [S451] United States Federal Census, Washington, District of Columbia, Population Schedule: Beat 3, Dale, Alabama, Page: 137, Dwelling: 130, Family Number: 130, Date: 1870. [S1101] United States Federal Census, Washington, District of Columbia, Population Schedule: Enterprise, Coffee, Alabama; Enumeration District: 54; Supervisor District: 3; Sheet: 16A, Dwelling: 287, Family Number: 287, Date: 1900. Wilfred Leo Sutton (John) Frezell lived in Mobile, Alabama. His Social Security Number was 133-10-4017 ( Issued in New York before 1951. ) He was born on 1 July 1903 in York County, Ontario, Canada. He was the son of Thomas Augustus Frizzle and Rose A. Clark.2,1,3,4 Wilfred Leo Sutton (John) Frezell emigrated on 20 September 1913; Crossed the border from Canada to the United States via Buffalo, New York and was accompanied by his mother.5 Wilfred Leo Sutton (John) shown as a crewmember on the cargo vessel, the West Henshaw, arriving in the port of Seattle, Washington on 21 March 1924 after leaving from the port of Hong Kong, China on February 16, 1924. The crew list indicates his position was a wiper, which is a a general handyman in the engine room, and he would be paid and departing the ship on arrival in Seattle, Washington. He married Caroline (Callie) May Kendle, daughter of Elmer Dyson Kendle and Ida May Waldo, circa 1925.7 Wilfred Leo Sutton (John) Frezell lived on 5 April 1930 at Buffalo, New York, where he paid $16 a month in rent. He and Caroline (Callie) May Kendle were salespersons for millinery on 5 April 1930 at Buffalo, New York.7 Part owner of McColl and Frezell (wholesale millinery) at 501 Washtington, Buffalo New York. Wilfred Leo Sutton (John) Frezell lived in 1934 in Delaware Arms Apartments, Buffalo, Erie County, New York.8 He lived in 1938 in Miami, Dade County, Florida. He married Frankie Mignon Manown, daughter of James Franklin Manown and Myrtle S. (Mirtie Belle) Rector, on 17 March 1943 at Fort Lauderdale, Broward County, Florida.9 Wilfred Leo Sutton (John) Frezell and Caroline (Callie) May Kendle were divorced in 1943 at Dade County, Florida.10 Wilfred Leo Sutton (John) Frezell and Frankie Mignon Manown lived in 1949 in Biloxi, Mississippi. Wilfred Leo Sutton (John) Frezell married Corrine W. Unknown circa 1953.11 Wilfred Leo Sutton (John) Frezell and Corrine W. Unknown were divorced in 1955 at Dade County, Florida.11 Wilfred Leo Sutton (John) Frezell married Betty Blakeley in August 1955 at Mobile, Mobile County, Alabama. 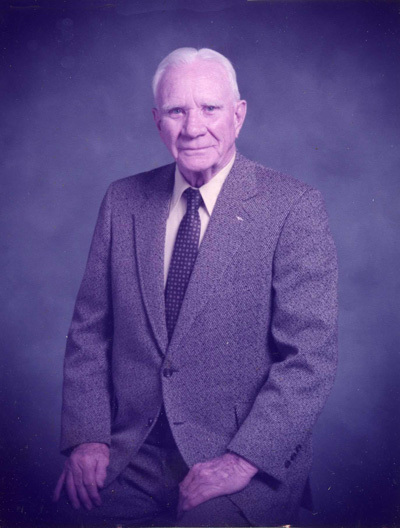 Wilfred Leo Sutton (John) Frezell married Agnes Sue Allen, daughter of Joseph Allen and Lillie Norton, on 16 July 1974 at Richland County, South Carolina. Wilfred Leo Sutton (John) Frezell and Agnes Sue Allen lived in 1982 in Decatur, DeKalb County, Georgia. Wilfred Leo Sutton (John) Frezell died on 13 June 1989 in Atlanta, Georgia, at age 85.2,3 He was buried at Crest Lawn Memorial Park, Atlanta, Georgia; Another reference has his place of burial as Gateway Memory Park, Cleveland, White County, Georgia. [S200] Alien Arrivals at Buffalo - Wm J. Frezell. [S205] Wm J. Frezell, West Henshaw Seattle Passenger and Crew Lists, March 21, 1924; M1383_94, RG085. [S201] United States Federal Census, Washington, District of Columbia, Population Schedule: Buffalo, Erie, New York, Enumeration District: 15-301, Supervisor District: 7-NY, Sheet: 4A, Dwelling: 65, Family Number: 88, Date: 1930. [S203] Buffalo, New York City Directory: Wilfred J. Frezell. [S209] Marriage License: Wilfred J. Frezell and Frankie Wainer: Marriage Book 31; Page 43; Certificate Number: 9217, Florida Department of Health. [S204] Florida Divorce Index, 1927-2001: Wilfred J. Frezell. [S202] Florida Divorce Index, 1927-2001: Wilfred J. Frezell. [S5] Susan Lana Frezell, Certificate of Birth (June 13, 1944). Rachel Chamblee was also known as Shambly. She was born circa 1771 in Wake County, North Carolina.1 Page 3 of original document Lived in Bute County then in the Pendleton District South Carolina (later became Anderson County South Carolina). [S22] Brent H. Holcomb, Marriages of Wake County North Carolina 1770-1868, Page 156. [S466] Edmund West, Family Data Collection - Individual Records: Robert Johnson Bagwell. [S1981] Applicant: Lawrence Raymond Bagwell, "SAR Application of Lawrence Raymond Bagwell for John Daniel Bagwell." [S2700] Email from Runette Bagwell dated August 2014 to Hunter Wayne Bagwell - Subject Line: Bagwellls (Jesse Bagwell). [S1520] United States Federal Census, Washington, District of Columbia, Population Schedule: Big Creek, Forsyth, Georgia; Enumeration District: 76; Supervisor District: 1; Page: 17, Dwelling: 151, Family Number: 158, Date: 1880. Elizabeth Sara Stone was born in 1760 in Pendleton District, Anderson County, South Carolina. She married William Bagwell, son of Daniel Bagwell and Elizabeth Johnson, circa 1774.1 As of circa 1774,her married name was Bagwell.1 Elizabeth Sara Stone died in 1830 in Anderson, Anderson County, South Carolina. [S24] Weynette Parks Haun, Wake County North Carolina County Court Minutes 1787 Thru 1792, Book II. Elizabeth Johnson was born circa 1737 in Dublin, Ireland. She married Daniel Bagwell, son of Emanual Bagwell, circa 1756 at Halifax County, North Carolina.1 As of 1756,her married name was Bagwell.1 Elizabeth's wife, Elizabeth, was qualified as Adminstratrix of his estate. William Bagwell, one of their sons, served as her bondsman.2 She died after 1802 in Wake County, North Carolina. [S458] Submitter Code: BH1, U.S. and International Marriage Records, 1560-1900: Daniel Bagwell. Richard Bagwell was born circa 1722 in Dublin, Ireland. He was the son of Emanual Bagwell. Richard Bagwell married Anne Parr in 1752. Richard Bagwell died in 1790 in Brunswick County, Virginia. John Bagwell was born circa 1728 in Dublin, Ireland. He was the son of Emanual Bagwell. William Bagwell was born circa 1732 in Dublin, Ireland. He was the son of Emanual Bagwell. William Bagwell married Elizabeth (?) before 1765. 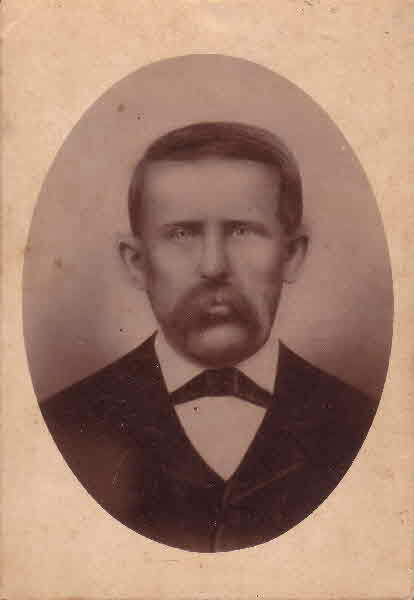 Littleton Bagwell was also known as James Littleton Bagwell. He was born circa 1734 in Dublin, Ireland. He was the son of Emanual Bagwell. Littleton Bagwell married Elender (?) Littleton Bagwell lived between 1790 and 1820 in Spartanburg County, South Carolina. He died after 1820 in Spartanburg County, South Carolina. [S207] United States Federal Census, Washington, District of Columbia, Population Schedule: Elkins, Randolph, West Virginia, Emuneration District: 42-14, Supervisor District: 8, Sheet: 9B, Dwelling: 40, Family Number: 41, Date: 1930. [S498] Interview, Susan Lana Frezell (Oetgen), Thanksgiving 1994. [S500] Alabama Marriage Collection, 1800-1969 (published). [S499] Texas Marriage Index, 1966-2002 (published). John Jay "Johnny" Frezell was born on 9 November 1947 in Biloxi, Mississippi. He was the son of Wilfred Leo Sutton (John) Frezell and Frankie Mignon Manown. 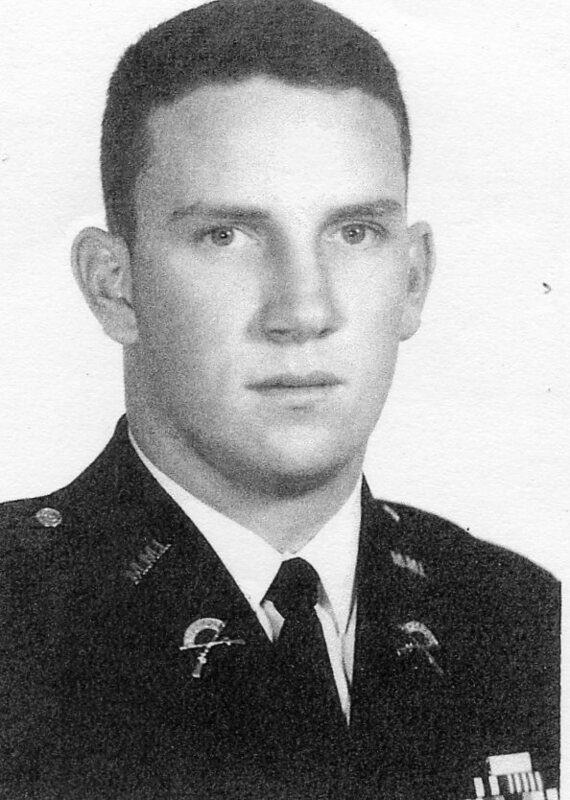 John was a Sergent of the U. S. Army and served in Vietnam where he earned the Vietnam Campaign Medal, the Vietnam Unit Citation, Vietnam Service Medal with 4 Bronze Service Stars and the Purple Heart. He received an Honorable Discharge. 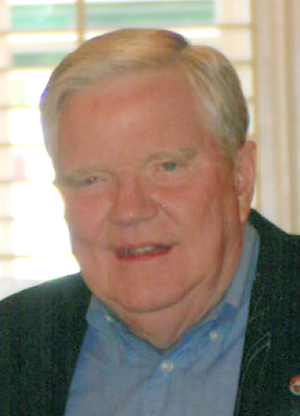 John served as Manager of the Town of Jamestown for 26 years. 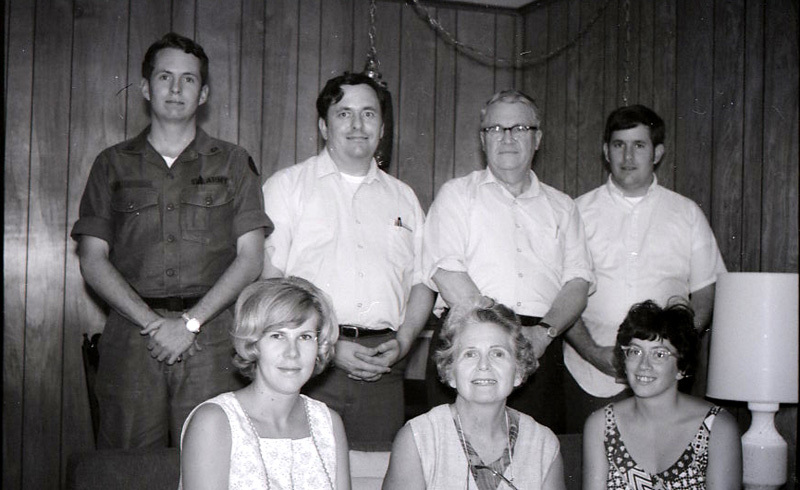 He was the second Manager of the Town since its incorporation in 1947. John led with enthusiasm and a profound determination to provide the best for Jamestown and its citizens. John Jay "Johnny" Frezell married Sylvia Diane Springs in June 1970.1 John Jay "Johnny" Frezell married Anne Finger on 5 November 1976.2 John Jay "Johnny" Frezell and Anne Finger were divorced on 11 March 1991 at Guilford County, North Carolina. John Jay "Johnny" Frezell married Debbie Phillips on 30 May 2000. John Jay "Johnny" Frezell was Town Manager of Jamestown, North Carolina. on 19 May 2003. He lived in High Point, North Carolina. He died on 26 February 2014 in Hendersonville, North Carolina, at age 66. He was buried at Salisbury National Cemetery (Section 15, 443), Salisbury, North Carolina. [S1122] Email from David Bagwell dated December 31, 2009 to JoAnne Claire Bagwell; Subject Line: RE: Ola Goff. 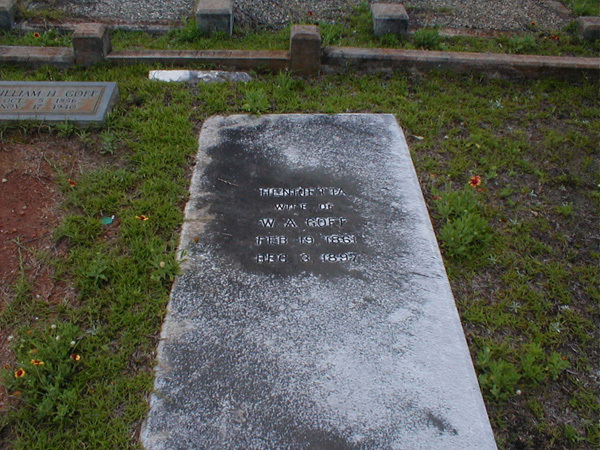 [S1113] Ola Engram Goff Grave Stone, Find a Grave, www.findagrave.com. [S64] Ola Mae Engram, Death Certificate for Ola Mae Engram. [S501] United States Federal Census, Washington, District of Columbia, Population Schedule: Alpharetta, Milton, Georgia, Emuneration District: 138, Supervisor District: 9, Sheet: 9B or 14A, Dwelling: 170, Family Number: 170, Date: 1920.